Building wealth is serious business. Here are some of the best resources to help you accomplish your goals. Free ways to check your credit score. If you like to do it yourself, here are some free downloadable finance packages. Great personal finance communities with members who are ready to give out sound financial advice. Graphically chart your entire financial future – project Income and Expense changes throughout your life – create contribution strategies for different account (401K, IRA, Brokerage, etc) – track your progress over time – calculate your odds of success with Monte Carlo and Historical analysis – take comfort in having a solid financial life-plan. 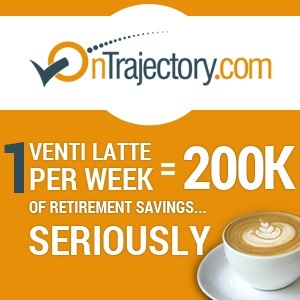 Log in and learn more about OnTrajectory NOW. For people who love to track everything about their finances. The 4-hour Work Week – Author, Tim Ferriss, adopts the pareto principle or the law of the “vital few” where 80% of the result come only from 20% of the causes. Ferris says that by maximizing the 20% you will be able to eliminate distractions and focus on what is important. Thus creating a lifestyle that has less work and more play. Find out more by clicking here. Rich Habits – This personal finance gem is a product of Tom Corley’s 5-year research about what the rich do every day that the poor don’t. Among these habits are: they wake up 3 hours before work, they watch less reality tv than those who are poor, and they educate themselves by listening to audio books during commute to work. Find out about the other habits here. The Automatic Millionaire – Most of us believe that we only need to find ways to increase our income in order to gain wealth. Bach believes that it is not true. He argues that wealth is a product of what we spend and not what we earn. Similar to the personal finance favorite, The Richest Man in Babylon, this book promotes paying oneself first and automating everything else. Click here to grab a copy. The Millionaire Next Door – This book will help you understand how real millionaires are made and offers realistic advice on how we can become one. The Millionaire Next Door revolves around some key themes: choosing a partner with similar values, focusing time and energy on wealth accumulation, and living below your means. This is a great read for those who are starting out in their journey to financial success. Click here to get a copy. The Intelligent Investor – Written by Warren Buffet’s mentor, Benjamin Graham, who introduced the term “value investing” to the world of securities analysis. The book is known as the bible of value investing and has informed generations of value investors. But, can a book that was printed in the late 1940s be useful in today’s stock market? The answer is “yes”. Click here to find out why. The Richest Man in Babylon – This book is based on parables set in ancient Babylon. The lessons you will find are very simple and straight to the point. Among the lessons mentioned are: only seek advice from those who are wise and knowledgeable about a subject, pay yourself first, save 10% of what you earn, and 20% of your income should be used to pay for debt. Click here for more lessons. Think and Grow Rich – A product of 20 years of research to accumulate information from more than 500 individuals, this book showcases 13 steps to obtain success. It has shed its light to more than 70 million readers up to date and is still considered to be one of the greatest self-help favorites available. Click here to grab a copy on Amazon. Rich Dad Poor Dad – Personal finance guru and writer, Robert Kiyosaki stresses in this book that money is not taught in school or any educational institution but mostly at home. Thus not having a good financial program and negative mindest greatly affects the success of an individual. This explains why professionals who had good grades in school may still face difficulty in managing their finances later on in life. While not a personal finance “textbook”, it has nevertheless been tremendously influential. Click here to grab a copy. The Total Money Makeover – Like the title suggests, the main premise of this book is to give your finances a “makeover”. But as Ramsey points out, everything should start with behavior since personal finance is 20% knowledge and 80% behavior. Ramsey also introduces the Debt Snowball method, a method of paying off your debts that has been proven to be effective. Click here to learn more. Freakonomics – Although this book is not personal finance in nature, it helps its readers see things in an economist’s point of view. Particularly the hidden economic side of most things including personal finance. If you are up for reading a book with a lot of controversy that will open your mind, then this book is for you.